New York, two years. Military Service: U.S. Army Medical Corps, during World War II. Family: Married the actress Anne Jackson, 1948, son: Peter David, daughters: Roberta and Katherine. Career: 1945—professional stage debut in Skydrift ; later roles in Eva Le Gallienne's American Repertory Theatre, 1946–47, Mister Roberts , 1949–51, The Rose Tattoo , 1951, Camino Real , 1953, Major Barbara , 1956, and The Chairs , 1958; 1956—film debut in Baby Doll ; also acted on television from 1958; 1977—in TV mini-series Seventh Avenue ; 1977–78—guest artist, with Anne Jackson, at Arena Stage, Washington, D.C.; 1985–86—in TV series Our Family Honor ; 1992—voices in TV mini-series Lincoln , and Baseball , 1994; 1995—in TV mini-series Vendetta II: The New Mafia ; occasional teacher at Actors Studio, New York. The Actor's Audition , with David Black, New York, 1990. "My Strange Dilemma," in Films and Filming (London), August 1961. "In All Directions," interview in Films and Filming (London), May 1964. Catsos, G. J. M., "Eli Wallach," in Filmfax (Evanston), February/March 1991. Current Biography 1959 , New York, 1959. Marill, Alvin H., in Films in Review (New York), August-September 1983. Eli Wallach started in the theater, returned to it frequently, but achieved his principal identification through film. Wallach began his film career as the sinister sneering con-man lover in the controversial Elia Kazan/Tennessee Williams film Baby Doll . Except for comic presentations later, such as The Tiger Makes Out , Wallach never returned to leading man roles. His second film, Don Siegel's The Line-Up , set the mold for Wallach. As the nervous psychotic killer Dancer, Wallach moved with grace, decision, and violence. He became a dancer, a choreographer of death, a man who could not understand why fate kept hitting him in the face. Whether comic or serious, Wallach has continually returned to this image and character, the none-too-bright killer who simply does not have the moral depth to understand why the world wants to destroy him. Whether his identity (and Eastern urban accent) is masked as a Latin bandit, as in The Magnificent Seven , or as an urban Italian soldier in The Victors , Wallach has become the epitome of the incredulous colorful villain. He had one of his best roles in this vein in the epic Sergio Leone spaghetti Western The Good, the Bad, and the Ugly , where he played the final adjective in the title. Villainy, however, is but one facet of the actor. Occasionally, in a film such as John Huston's The Misfits , Wallach has portrayed not a killer of men but a man with a potentially dead soul. The pain behind the unloved eyes can be both contemptuous and pitiful. Unfortunately, it is a portrayal of depth that Wallach was seldom allowed to bring to the screen after The Misfits . In more recent films, Wallach's talents and the character type he has evolved have been limited to a decidedly secondary role, often forcing him to rely on the mannerisms which suggest his past portrayals. In the final Steve McQueen film The Hunter , for example, Wallach played a somewhat sympathetic Jewish bailbondsman on the thin edge of emotionalism, a polished but surface role at best. 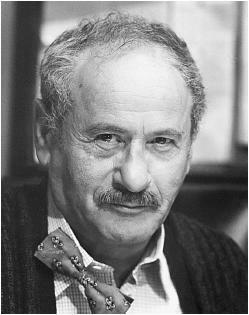 Wallach, fortunately, is a character actor whom age will not diminish, nor, it seems, slow down. He appears in almost as many movies now as he did in his heyday. Among the most visible recent examples: as a mafioso in The Godfather, Part III , the final installment of Francis Ford Coppola's Corleone saga; The Two Jakes , Jack Nicholson's ill-fated (and ill-advised) sequel to the classic Chinatown ; and Irwin Winkler's updated remake of the forties noir thriller Night in the City . Wallach also joined aging contemporaries Kirk Douglas and Burt Lancaster for the enjoyable septuagenarian caper comedy Tough Guys .